All tobacco products, including "premium" cigars, remain subject to manufacturing, distribution and marketing oversign by FDA. 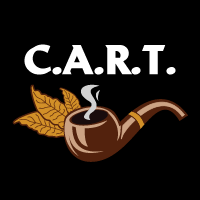 However, given the ongoing interest from many parties on this issue - as well as the potential for new data on the topic since the deeming rule published-we're providing stakeholders an opporturnity to submit revelent new information that could inform FDA's regulation of "premium" cigars," said Mitch Zeller, director of FDA's Center for Tobacco Products. The FDA will consider all submissions to help inform the agency's regulatory decision-making regaring "premuim" cigars. The ANPRM will be available for comment from March 26 through June 25, 2018. Anyone can submit a comment on a proposed rule by the FDA. For tips on submitting effective comments, click here.